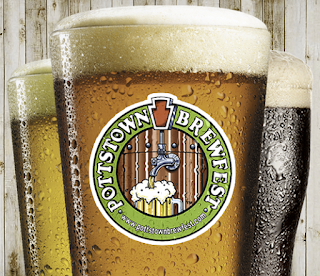 The Brew Lounge: Would you like to have my tickets to Pottstown Brew Fest? Gonna go with closest wins. Congratulations Kristy. Send an e-mail to me at TheBrewLounge@gmail.com so we can arrange ticket delivery. Cheers! 301 --- What number day of this year is the Pottstown Brew Fest taking place on? 19,465 --- Take the result of all the above multiplication and subtract from it the ZIP Code of the Norco Fire Company.